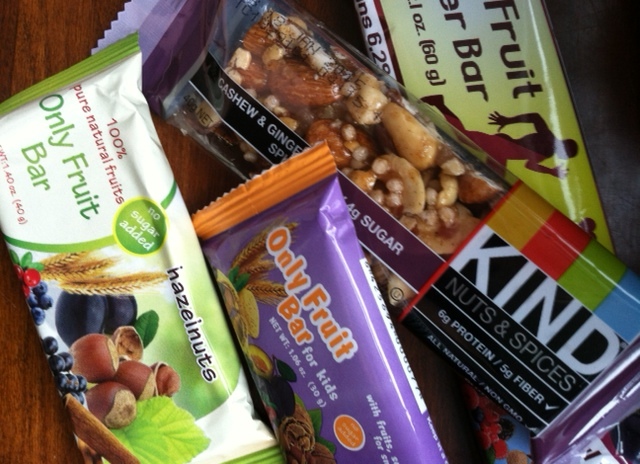 Nutrition Bars, Sports Bars, and Vegan Bars – Oh My! 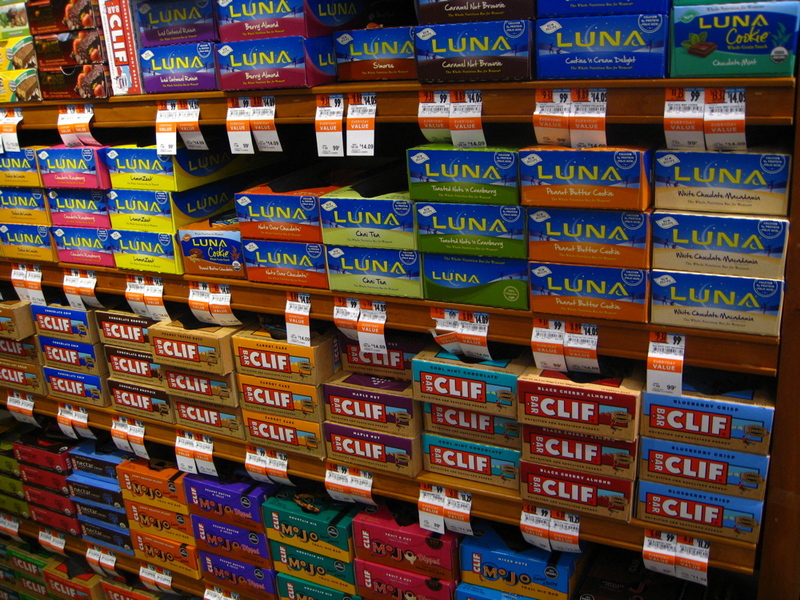 Have you been to the “nutrition bar” aisle in the store lately? Yes, most stores now have their own aisles dominated by what is usually referred to as nutrition, sports, and meal replacement bars. They come in everything from fiber plus, to fat free, to low calorie, and even vegan. Even though they’re marketed as snacks, they usually contain enough calories to be a meal on it’s own. Careful marketing by companies tend to blur the line between their product being a meal replacement versus an occasional snack. Now, before you throw out all of your bars, listen to me. I’m not saying that all bars are bad. I definitely eat them sometimes. The key is to eat “nutrition bars” occasionally, not as your usual morning routine. If you’ve read my food philosophy, you’ll know just how I feel about whole foods for a whole life. The closer you can get to the source of your food, the better. For example, eating whole strawberries rather than the dried strawberries usually found in some cereals. If you try to do this 80% of the time, I promise you that you’ll feel the results. Look for low sugar. If you’re going to eat a “healthy” snack, make sure it doesn’t have as much sugar as a candy bar. The Institute of Medicine (IOM) recommends that you limit your sugar intake to less than 25% of your daily calories. So if you’re on a standard 2,000-calorie per day diet that means you should be eating no more than 500 calories from sugar or 125 grams. Or you can go by the American Heart Association, which allows a maximum of 6 teaspoons per day (about 100 calories or 48 grams) for women and up to 9 teaspoons per day (about 150 calories or 36 grams). Next time you look at the amount of sugar in your favorite bar, you may think twice. Also, look out for added sugars. If sugar in various forms appears multiple times, put the bar down and walk away. You might as well be eating a piece of chocolate or a cupcake! Check those calories and serving sizes. How many times have you opened up your favorite bag of chips or juice, thinking it was a single serving, but then realizing, after you finished it all, that there were more than two servings in the package? We’ve all been there. So don’t get caught up in consuming 500 calories in one “snack” just because you thought it was a single serve portion for 250 calories. It may look like it’s a single serve, but looks are deceiving, especially when it comes to food packaging. Now that you know what to look out for, here are three of my favorite bars when I’m in a hurry. (Remember 20% of the time). Kind Bar – These nutritious bars are packs full of nuts and spices. My favorite is the Cashew & Ginger Spice bar with only 4 grams of sugar and 6 grams of protein. 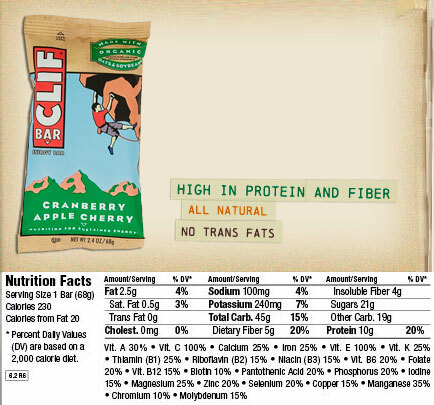 It’s gluten free and one bar comes in at 200 calories. Only Fruit Bar– I had the good fortune to try these bars from the EU and I’m super impressed by their ingredient list and flavor. My favorite is the hazelnut bar with five ingredients: prunes, hazelnuts, mixed berries, oat flakes, and cinnamon. No added sugar here. That’s It – These bars are full of flavor and also contain no added sugar, no preservatives and are raw, vegan, and gluten-free. Seriously! And they’re still amazing. And if you’re really feeling up to it, try out this amazing recipe and just make your own! Interested in working with me as a holistic health coach? Next > Allergies… They’re Coming – Stop them Now! Hi mbeewell, I posted on your article about yogurt, and as one of the first 5 respondents I was told I would receive a gift pack. Is that still forthcoming? Thanks! Hi Brian, Yes you can definitely still get a Siggi’s coupon pack! Did you ever send me your address at info@mbeewell.com? If not, no worries. Just send me an e-mail and I’ll put it in the mail! Thanks!